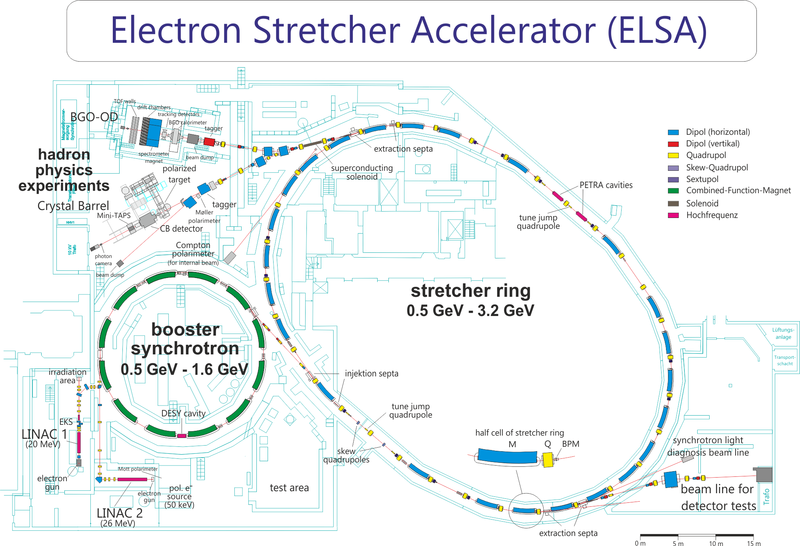 The electron accelerator ELSA is operated by the university of Bonn in Nordrhein-Westfalen, Germany. It consists of three stages (injector LINACs, booster synchrotron and stretcher ring) and delivers a beam of polarized or unpolarized electrons with variable energy of max. 3.5 GeV. The main research topic is hadron physics. For this purpose a beam of up to several nA can be extratced and transfered to the different experimental areas.